In NBTY v. Vigilante, et. al., a hot-off-the-presses decision that was handed down on November 24, a Suffolk County trial court held, in a detailed and well-reasoned opinion, that former execs weren't bound by their noncompetes once they turned down stock options from their former employer. In this case, the plaintiff, NBTY, Inc. ("NBTY"), is a leading global manufacturer, marketer, distributor, and retailer of vitamins and nutritional supplements; the defendant Piping Rock Health Products, LLC ("Piping Rock"), was founded in May 2011 by NBTY's former Chief Executive Officer. The individual defendants, including Vigliante, were high-level NBTY salespersons who left NBTY to work for Piping Rock. In 2011, the individual defendants executed stock-option agreements with NBTY's parent company, Alphabet Holding Company, Inc. ("Alphabet Holding"). 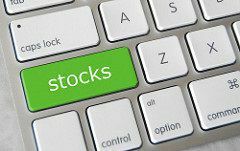 The agreements gave Vigliante, Potere, and Perry options to purchase specified numbers of shares of common stock that would vest over time, at specified prices, subject to certain terms and conditions. The stock-option agreements also contained restrictive covenants, i.e., noncompete clauses, barring the individual defendants, from, among other things, competing with NBTY for 1 year post employment, and forever prohibiting them from disclosing any of the plaintiff's confidential and proprietary information. After the individual defendants resigned, plaintiff sued to enforce the noncompete agreements, claiming that the defendants were liable to plaintiff for breach of the covenants not to compete, and that Piping Rock was liable for tortious interference with contract and unfair competition. Plaintiff also sought a permanent injunction against all of the defendants. The defendants responded by moving to dismiss the amended complaint, claiming that even under the most favorable reading of plaintiff's complaint, the case should be dismissed (in legalese, this is referred to as "failure to state a claim upon which relief can be granted"). "Under the employee-choice doctrine, when an employer conditions the receipt of benefits upon compliance with a restrictive covenant, the employee is given the choice of preserving his or her rights under the contract by refraining from competition or risking forfeiture of such rights by exercising the right to compete ... Here ... the individual defendants agreed to post-termination non-compete provisions in exchange for the receipt of additional incentive compensation, i.e., stock options. "Thus, upon their decision to leave NBTY's employ, they had the choice of preserving their rights under the stock-option agreements by refraining from competition with NBTY or risking forfeiture of such rights by exercising their right to compete (Id.). By choosing to compete with NBTY, the individual defendants gave up their right to the stock options promised in exchange therefor (Id.). They, therefore, made an informed choice between forfeiting their stock options or retaining the benefit by avoiding competitive employment (Id. at 1539-1540). "The court finds that NBTY seeks to enforce an agreement that has already expired and for which the individual defendants received no benefit that had any actual value. The stock-option agreements expired by their terms shortly after the individual defendants' employment ceased; and, consistent with the advice they received from representatives of NBTY, the individual defendants made no attempt to exercise the options or obtain any benefits." As a threshold matter, it's worth noting that this decision a bit unusual is that the court rendered this decision at the initial pleadings stage, before any documentary exchange ("discovery," in legalese) took place. In other words, the decision is a bit courageous (and yes, for that reason alone I like it) because the vast majority of courts are reluctant to dismiss cases at this early stage, as they prefer to see what discovery yields before dismissing a case. The downside to that approach, of course, is that "frivolous" cases tend to linger around for longer, and ratchet up defense costs for cases that lack merit. Post a Comment to "NY Court: By Turning Down Stock Options, Execs Could Compete"